Dr. Ambedkar Mahaparinirvan Diwas 2019 will be observed on Friday, the 6th of December. In 2018, 63rd Mahaparinirvan Diwas (death anniversary of Babasaheb) was observed. The President led to pay floral tribute to the statue of Babasaheb at Sansad Bhavan Lawns in the Parliament House complex. Following him, the Vice President, Prime Minister and other members of parliament also paid their tribute to the Architect of Indian Constitution. The Ambedkar Foundation, the autonomous body of Social Justice & Empowerment organised the ceremony. The Babasaheb Youth Committee, Indore organized a silent rally which started from Nehru Nagar and continued till Geeta Bhavan. Indian Buddhist Foundation, Samta Sainik Dal, Matoshree Ramai Women Committee and Indian Republican Bahujan Foundation commemorated the day by paying a collective tribute to Dr. Ambedkar. There were special arrangements made at Chaityabhoomi, the resting place of Babasaheb, on account of huge crowd visiting the place on Mahaparinirvan Divas on 06th December. The security was tightened and there was a close watch on the events. The facility and management service in the area was also beefed up on the account of huge rush on the occasion. Central Railway started 14 special trains on the occasion of Mahaparinirvan Divas. The trains plied between 04th to 7th December. Mumbai traffic police also did special arrangements seeing the huge rush at Chaityabhoomi as huge number of followers visited the place to pay homage to the ‘Father of Indian Constitution’. BEST, the transport authority of Mumbai ran special ‘Mumbai Darshan’ buses on the occasion for the people visiting the city. The bus halted at the key places which were associated with Babasaheb and other tourist spots. Dr. Bhimrao Ramji Ambedkar had died on 6th of December in the 1956 that’s why Dr. Babasaheb Ambedkar Mahaparinirvan Din or death anniversary is observed every year all over the India on 6th of December to pay him a lot of tribute and honor. He is called as “The Father of the Indian Constitution”. The people in India pay him tribute by offering flowers, garlands, ceremonial lamps, candles and literature at his elegantly decorated statue. At this day a large crowd of people visit the Parliament House complex in the morning in order to pay honor and respect by chanting a most famous slogan “Baba Sahib Amar Rahe”. Some people including Bodh Bhikshus sing several sacred songs at this occasion. A large crowd of people from all over the country get thronged at the ”Chaitya Bhoomi” (Dr. Ambedkar’s memorial) at Dadar in order to pay reverence to the great architect of the Constitution of the India, Dr Babasaheb Ambedkar. All the facilities like toilets, water tankers, washing rooms, fire station, telephone centre, health centre, reservation counter, and etc becomes available at this day at Chaitya Bhoomi for ease of the people. The Samata Sainik Dal Salute is taken during midnight at 5th of December by his daughter-in-law, Meeratai Ambedkar. After giving salute, a recitation of his teachings takes place and then the stupa gates get opened for all. Dr. B. R. Ambedkar Mahaparinirvan Diwas is observed every year by organizing a function by the city corporation and SCs and STs State Government Employees’ Association to commemorate the great contribution of the Dr. Bhimrao Ambedkar towards the country. His great efforts help a lot to keep the country united. The constitution of India written by the Dr. Bhimrao Ambedkar is still guiding the county and helps it in emerging out safely even after it had passed throughout the several crises. > Set up of the Dr. Ambedkar National Public Library at the Janpath. > Making available the works of Dr. B. R. Ambedkar in all the regional languages including Hindi. > Organizing variety of conferences, workshops, exhibitions, lectures, seminars, symposium and fairs based on the life as well as mission of Dr. B. R. Ambedkar. > Offering Dr. Ambedkar National Award to the weaker sections and Dr. Ambedkar International Award for the social changes. 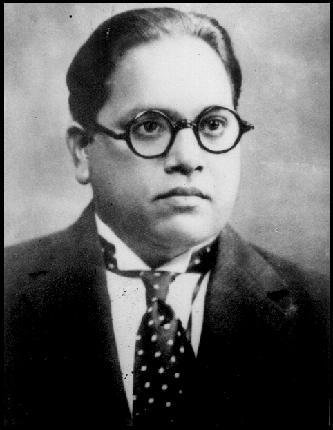 > Organizing every year the birth anniversary celebration on 14th of April and death Anniversary on 6th of December of Dr. Ambedkar. > Launching Dr. Ambedkar National Merit Award Schemes to distribute the award among meritorious students belong to the Scheduled Castes/Scheduled Tribes. > Availability of Dr. Ambedkar Chairs in the Universities for running the research activities over the thoughts of Dr. Ambedkar. > Publishing a monthly magazine of Samajik Nyay Sandesh in Hindi language. > Offering Dr. Ambedkar National Relief to the victims of violence related to the SC.